Forget a smart speaker, soon you may be able to control your smart home with a few taps on your wall. Researchers at Carnegie Mellon University and Disney Research have developed a way to make your walls smart, at a cost of $20 per meter, as spotted by NBC News. The system could potentially monitor activity in rooms, automatically adjust light levels when a TV is turned on or off, or send an alert when an appliance goes off. The Wall++ could also track people wearing certain electronic devices that emit an electromagnetic signature. This isn’t the first time Carnegie Mellon researchers have found a way to turn an analog surface into a touchpad. Last year, researchers at the university announced a system called Electrick that let you spray conductive paint onto smooth surfaces to enable touch controls. 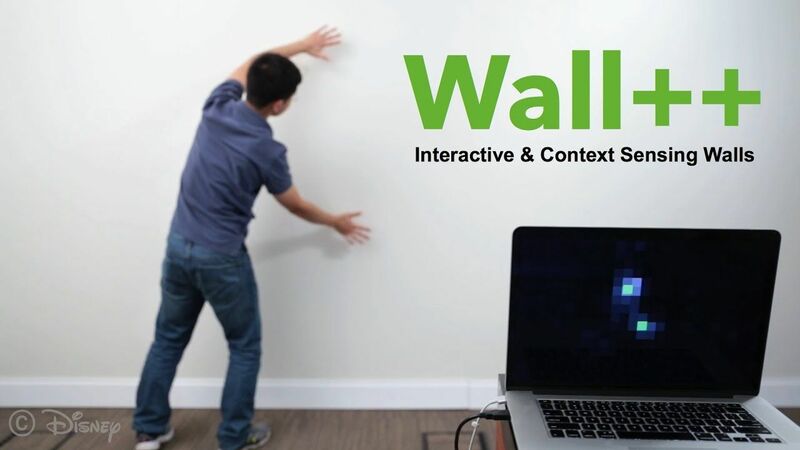 There’s still work to do, the Wall++ hasn’t been optimized for energy consumption, and there will likely need to be an easier way to install it other than putting a sensor board on your baseboard, but the general functionality seems to be sound. Get ready to stop yelling at Alexa and start smacking your wall.